Guest: Elizabeth MacCrellish, director of The Squam Art Workshops in New Hampshire. Elizabeth discusses the retreat happening in June that includes 18 knitting classes, including Sally Melville, Annie Modesitt, and more. It’s held at Rockywold-Deephaven Camps on Squam Lake. In addition to the classes, there will be special events. It’s definitely worth checking out! 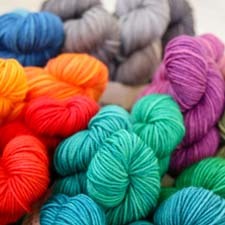 Knitalong with Pixie: Check out the Tips and Tricks Pixie has learned in classes. This entry was posted on Saturday, April 11th, 2009 at 4:33 pm	and is filed under Ready, Set, Knit Podcast, Tips & Techniques. You can follow any responses to this entry through the RSS 2.0 feed. You can leave a response, or trackback from your own site.